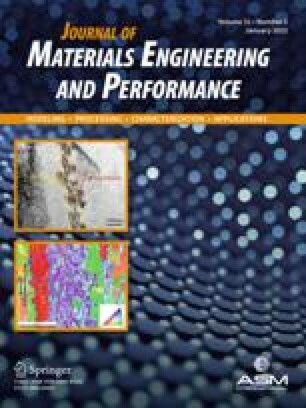 In this study we investigated the stress-strain behavior at room and elevated temperatures and the tensile creep and cyclic creep response of a unidirectional SiC fiber-reinforced aluminosilicate glass matrix composite. The interfacial condition of the as-received material was measured by a push-out indentation technique. The stress-strain behavior was that expected for this kind of composite, i.e. “pseudoductile” behavior with extensive fiber “pull-out” at room temperature and brittle failure at intermediate temperatures (750 °C) due to oxidation embrittlement. The stiffness of the composite at 750°C was analyzed for different loading rates, highlighing the influence of the loading rate on apparent composite stiffness, due to matrix softening. The creep studies were conducted at temperatures above and below the softening temperature of the glass (T g, 745 °C) in air. The cyclic creep experiments showed the existence of extensive viscous strain recovery during the unloading period. The creep strain recovery was quantified using strain recovery ratios. These ratios showed a slight dependence on the temperatures investigated (700 and 750 °C). The crept composites retained their “graceful” fracture behavior only partially after testing, indicating that oxidation of the fiber/matrix interface due to oxygen diffusion through the matrix occurred in the peripheral area of the samples. Dr. Boccaccini is presently at the Institute for Mechanics and Materials, University of California, San Diego, CA 92093, USA.